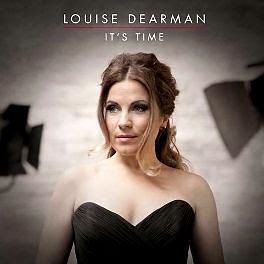 Have just been listening to a download of Louise Dearman's new album It's Time which is released tomorrow and have to say I really love it. It's hard to pick out the stand out numbers, but for me What I did For Love from A Chorus Line, A New Life from Jekyll & Hyde are quite sublime with Falling Slowly from Once (which she duets with Shayne Ward) being my absolute favourite. Dame Judi Dench will always be the ultimate performer of Send in the Clowns from A Little Night Music for me but Louise's sung version is quite beautiful. All of the musical arrangements are understated and done in a clever way which perfectly showcases Louise's very clear and beautiful voice. She has now left Wicked after playing both Glinda and Elphaba to perform in a series of concerts and embark on her own concert tour which I am very much looking forward to. Sorry if I sound over the top on this one, but I love the album so much that I have actually brought the CD!